Regardless of your age or physical health, it’s important to have regular eye exams. During a complete eye exam, Dr. Gregory R Jackson and his staff will not only determine your prescription for eyeglasses or contact lenses, but will also check your eyes for eye diseases, assess how your eyes work together as a team and evaluate your eyes as an indicator of your overall health. A comprehensive eye exam at our Mobile, AL practice includes a number of tests and procedures to examine and evaluate the health of your eyes and the quality of your vision. These tests range from simple ones, like having you read an eye chart, to complex tests using sophisticated diagnostic instruments to manage any eye problem. A biomicroscope and indirect ophthalmoscope, coupled with high-powered lens, allow Dr. Jackson to examine the health of the tissues inside of your eyes to detect and monitor potential eye problems. The eye is the only place in the body where blood vessels and nerves can be viewed directly without surgery. Eyecare experts recommend that people in Baldwin County and Washington County have a complete eye exam every one to two years, depending on your age, risk factors, and physical condition. 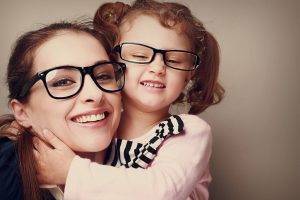 The AOA recommends that children who wear eyeglasses or contact lenses should have their eyes examined at least every 12 months or according to their eye doctor’s instructions. Learn more about pediatric eye exams in Mobile, AL. To schedule your next eye exam, call us today at (251) 470-8844. Conveniently located in Mobile, Alabama, our practice serves residents from Baldwin County and Washington County.